16 COLOURlovers viewed this page and think PugDoggy57 is totally awesome. 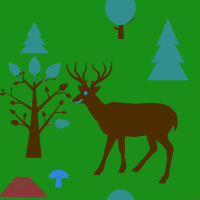 Deer, trees, rocks, grass! All nature! Credit must be given to PugDoggy57 & ivanna15.